Coenobita cavipes- This kind of crab species with their bright orange bodies stays in the native homelands of the Asian and African tropical rainforests. The interesting fact is that these crabs never go to the shore until its time for them to mate. Molting is frequent amongst this species than any other breeds. Coenobita rugosus- The sound from these crabs are pleasant and feels as though a bird is chirping. They rub the pinchers with the shell to produce the sound and this is a good sign to symbolize the species. Their colors vary from black to green or even pink. Some of them even have shades of two colors on their bodies. Paguristes pugil- The boxer hermit crab as it is commonly known as and looks similar to snails. Their beautiful appearance makes them ideal pets. 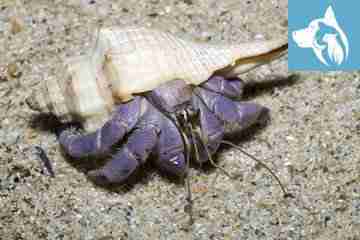 Cancellus typus- Also known as the miner hermit crab, this is the most unusual hermit crab breed. This is why these species is endangered and not always possible to be kept as pets. These are one only species that can make their homes inside hollowed rocks and may or may not have a shell. Strigopagurus elongates- These crabs are commonly known as the stridulating hermit crab. You can find them offshore mostly in the coastal regions of the Australian seashores.